The second theory is the Constructionist Theory. Application of this theory implies that given an optimal learning environment, all children construct their own knowledge as they interact with the social and physical environment in a given setting. Lastly, the Montessori Theory sees education as much more than the passing of knowledge from adults and materials to children. Dr. Maria Montessori saw education as facilitating the full development and release of human potentialities. 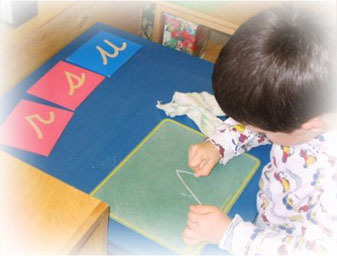 In setting up the prepared learning environment, she strongly believed and has been supported by today’s research that children’s development occurs in stages, with each stage building on the previous one. Additionally, development of a child is both interactive and integrated. Reuve Feuerstein whose work on “Mediated Learning Experiences” has lead to intense debate on how the classroom affects students’ metacognition. Lev Vygotsky who theorized that we learn first through person-to-person interactions and then individually through an internalization process that leads to deep understanding.